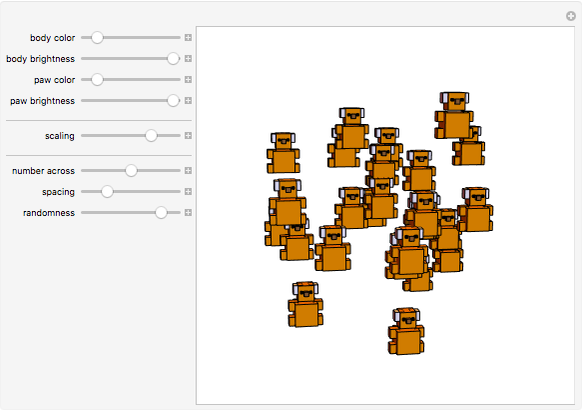 Make different numbers of "cubic koalas", and change their color. 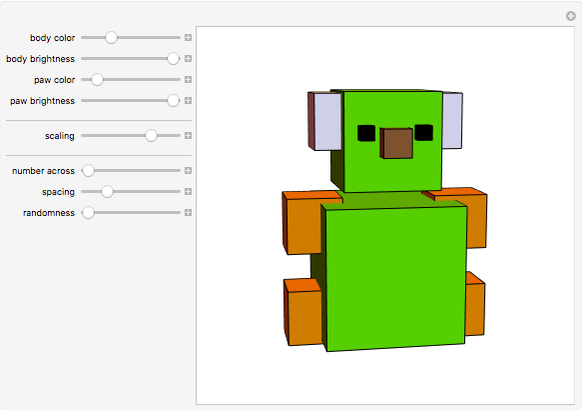 Each "koala" is made from a few cubes. 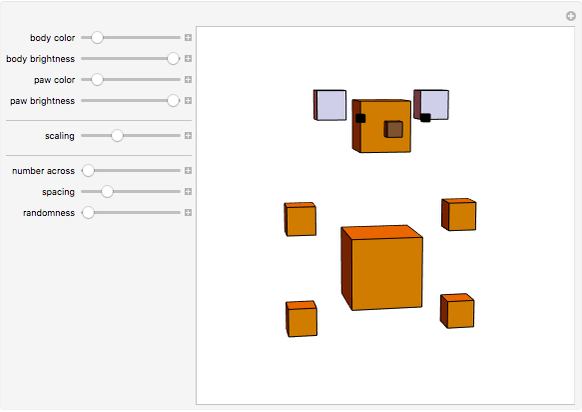 Catherine Wolfram "Cube of Cubic Koalas"